The single security will be implemented in the 2nd quarter of 2019, according to the Federal Housing Finance Authority (FHFA), but many are unaware of how this impacts them. Freddie Mac has released a document, Single Security: What Does It Mean for Freddie Mac Seller/Servicers, that assists with this need for additional information. But first, let’s learn a little more about this initiative. What is the Single Security? The Single Security is a common mortgage-backed security (MBS) issued by Fannie Mae and Freddie Mae for fixed-rate mortgage loans on one- to four-unit single-family properties. The 2014 Strategic Plan for the Conservatorships of Fannie Mae and Freddie Mac lists this as one of the goals the FHFA has assigned the Enterprises. Part of the strategic plan for the Enterprises includes a Common Securities Platform (CSP). This would be a shared infrastructure that would improve overall liquidity of the securities. One piece of this platform is the Single Security which would reduce the trading value disparities between Fannie Mae and Freddie Mac, making them fungible. The use of the Single Security is a part of Release 2. The successful Release 1 was implemented in 2016 and involved Freddie Mac beginning use of the CSP for certain bond administration functions. 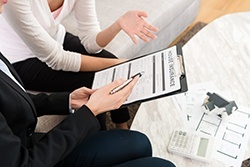 Freddie Mac’s summary of how Originating and Underwriting, Selling and Delivering, and Servicing will all be impacted provides a quick outline of changes to expect. The document promises that Seller/Servicers will be notified of any changes with enough time to notify system vendors and implement any operational and procedural changes. Originating and underwriting can expect to see a new 10-year fixed-rate mortgage product (TBA-eligible only) that will be introduced before the Single Security is implemented. This product will not be offered for non-TBA security products. Also, Loan Product Advisor will be updated to reflect all the eligibility requirements of this 10-year fixed-rate product. As for the selling and delivering side, the Selling System and contracts will be updated with the new 10-year offering. Pooling will experience minimal change, one of those being non-TBA loan pools will increase from $250,000 to $1 million. Servicing will experience changes to disclosure and buyout requirements. Also, buyers will be able to bid for the new 10-year loans that are purchased. Total cost of the implementation of the Single Security is expected to exceed $1 billion in the end but savings are expected to be between $400 million to $600 million per year, according to the Single Security and CSP Update released in March 2017. For further information regarding the timeline of the CSP and Single Security, FHFA provides a Common Securitization Platform and Single Security Timeline that will be updated as key achievements are met.